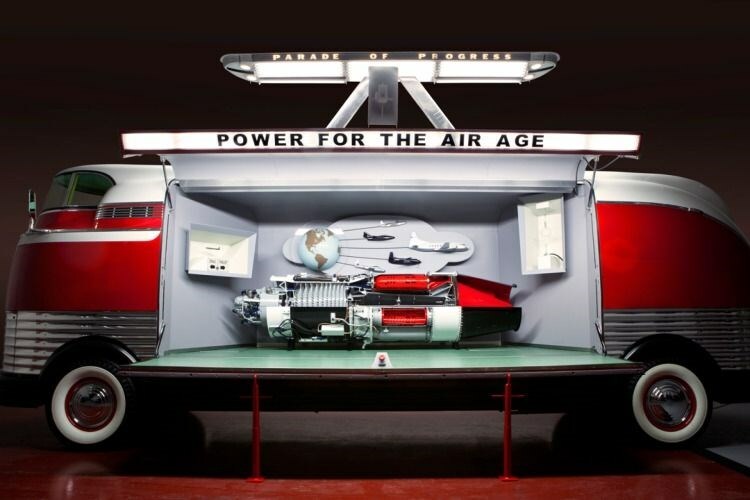 Futurliner 3 has undergone a complete restoration. Though spectacular, it failed to sell at auction. Number 9 is now living in Germany. 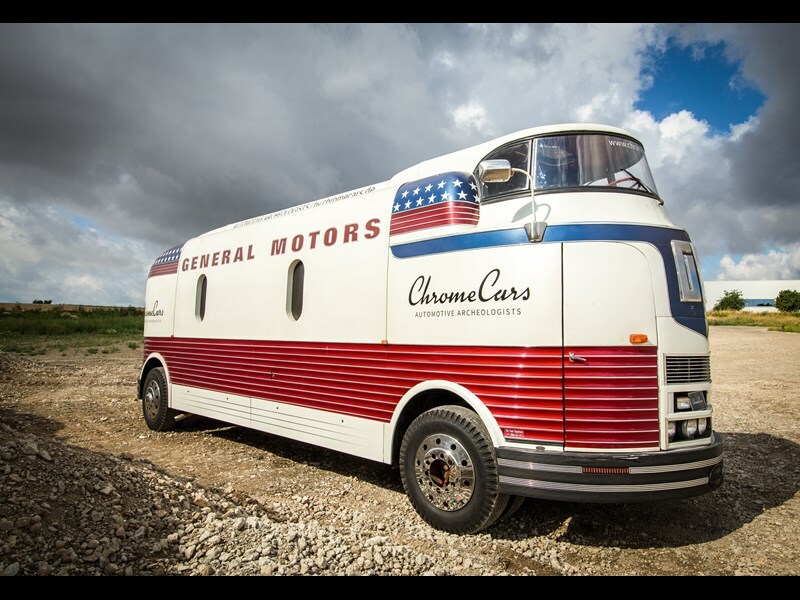 The recent high-profile auction of General Motors Futurliner number three didn't go to plan, with the vehicle failing to meet reserve. One of a fleet of unique trucks built for a rolling GM Parade of Progress show that went for several years, this was arguably the most desirable of the fleet, thanks to its extraordinary display of an Alison jet engine. This vehicle has changed hands a couple of times over recent years, with the last known sale price set at around US$247,000 (AU$320,000). That was before the new owner sank a lot of money (perhaps as much as double the purchase price) into a full restoration. While the reserve wasn't revealed, a US$2.5 million(AU$3.2 million) wasn't enough to get a sale. Previously, a restored Furturliner has fetched in the region of US$4 million. 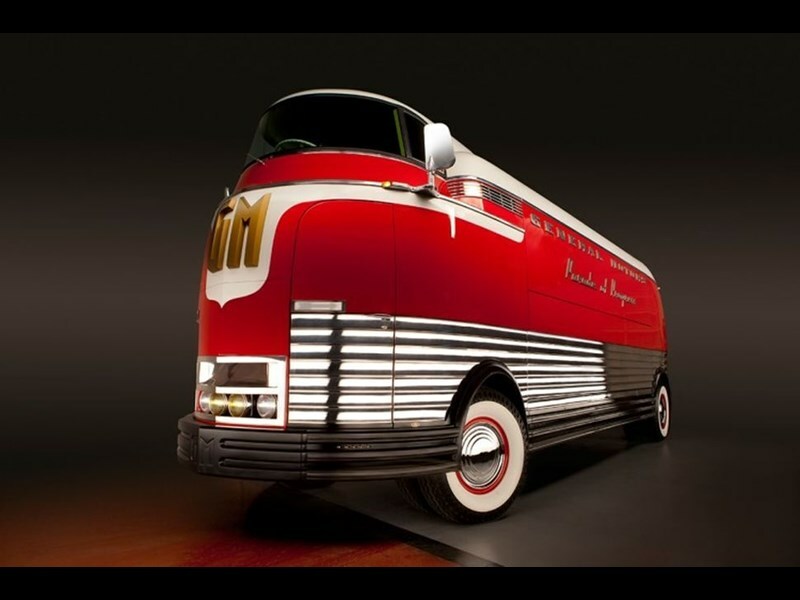 Meanwhile Futurliner number three, sporting a non-original paint job and an internal fit-out that's an art deco-style bar, has left the USA and is now in the collection of a German dealer called Chrome Cars. Proprietor Michael Gross hasn't revealed the purchase price.